Today we added to the game the long-awaited update — avatars for players! 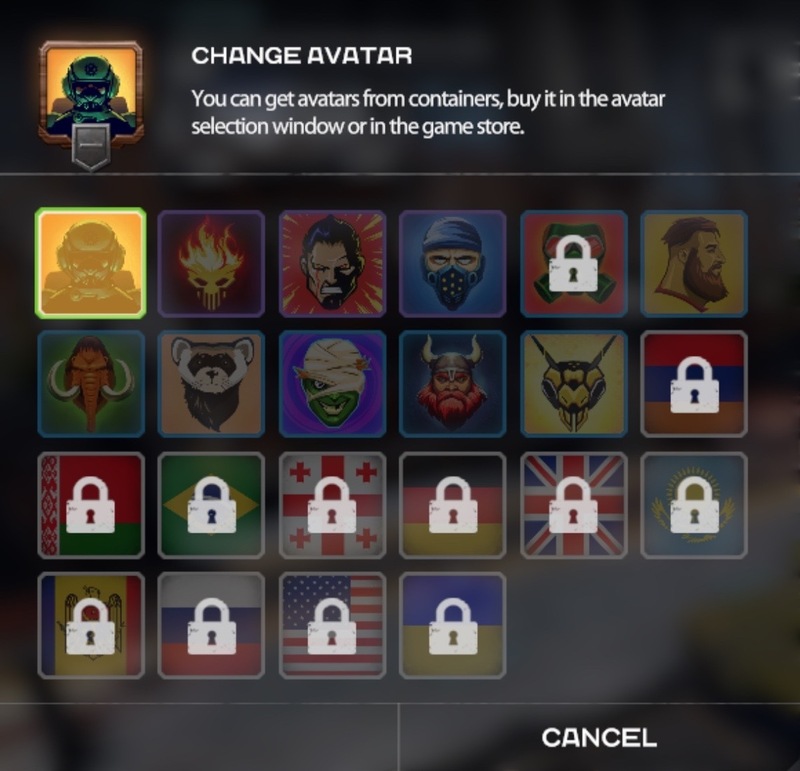 You can view all avatars and ways to get them when you click the right mouse button on a standard avatar in the garage. Flags of countries — usual avatars, are available from the 6th rank at the price of 3000 crystals (Russia, Ukraine, Belarus, Georgia, USA, Kazakhstan, Germany, Moldova, Armenia, Brazil, Great Britain). “SWAT soldier” — a rare avatar, available from the 40 rank at the price of 99 X-crystals. 9 avatars are available in a special container “Avatars“, which is sold in the game store for 199 X-crystals: rare avatars “Wasp”, “Mammoth”, “Raccoon”, “Bogatyr”, “Viking”, “Troll”, and epic avatars “Cyborg”, “Savage” and “Ghost rider“. “Tanki X” — legendary avatar, which will be added in the near future to all players of the CBT and OBT, registered until March 13, 2018. “Elite” — the legendary avatar, which is issued to the current game helpers and partners. All of the hulls were reduced drift and increased weight. Increased zone, which is considered the stern (the rear of the tank), and damage to the stern is 15% now. “Hunter” — reduced strength from 2550 to 2500. For all turrets has been slightly increased dispersion damage. “Firebird” — reduced damage from 560 to 517. “Freeze” — reduced damage from 535-492, reduced time to full recharging from 9 to 8 seconds. “Hammer” — reduced damage per shot from 67 to 63, slightly increased spread. “Isida” — reduced damage from 498 to 431, reduced the level of friend’s healing from 456 to 409, reduced the level of healing from 40 to 34, increased the time of full consumption from 7 to 8 seconds, increased the guidance cone. “Railgun” — reduced damage from 1105 to 1020. “Ricochet” — increased damage from 286 to 308. “Shaft” — reduced arcade damage from 562 to 454, reduced damage on full charge from 1236 to 1137, reduced charge accumulation time from 6 to 5.5 seconds. “Smoky” — increased damage from 325 to 340, reduced cooldown from 1.5 to 1 second, and reduced critical chance from 50% to 30%. “Thunder” — reduced damage from 823 to 700, reduced cooldown from 3.8 to 3.5 seconds. “Twins” — reduced damage from 98 to 80, reduced cooldown from 0.25 to 0.2 seconds. Now when you create a custom battle, some of maps can be created only in certain modes. We added Halloween map “Lake Hell” in the DM mode to the custom battles. We fixed a bug where setting “Particles Quality” didn’t affect all particles, so this would improve game performance on low settings. We fixed a bug where traces of “Twins” shots were displayed on the wall behind the tank they hit. Now the camera in observer mode will detaches from the player with the first time you press Esc, and the second time you press Esc, you can exit the battle. Fixed a bug where not the entire interface was hidden in spectator mode when clicking on “/”.